Yangzhou is a quiet city resting on the Yangtze river in the centre of Jiangsu province, with a history spanning longer than Christianity. Considered small by Chinese standards (5 million people), Yangzhou is full of peaceful beauty and classic Chinese scenery. Though a lesser known location, it was once one of the most important and prosperous of China’s cities. It’s now a largely undiscovered gem and a city definitely worth considering for your placement in China. Teaching placements in Yangzhou are in state schools, and are administered by our long-standing educational exchange partner CEAIE. There are a variety of positions available in the city, ranging from kindergarten to high school. As a state school placement, class sizes will average around 50 students per class and classes will last around 40-45 minutes depending on the time of day. You may be teaching up to 20 classes of children from kindergarten to middle or high school level and will be expected to work around 20 hours per week (Mon-Fri). Basics like a blackboard, computer and a projector to display your PowerPoint will be supplied, however little else will be provided, so you’ll have to bring certain supplies yourself. Last minute changes are common in state schools, so you will need to be ready to adapt if your teaching schedule changes. While knowledge of Mandarin isn’t necessary it is definitely helpful so it’s best to learn the basics in preparation. Your school will provide a furnished apartment either on campus or in a nearby location. Your apartment will be equipped with all the essentials, including a shower, kitchen, western toilet, fridge and freezer, and a washing machine. The school will not charge you rent, and bills are usually covered as well. This will be confirmed in your contract. Your school will most likely offer food during the weeks, but on weekends you will need to eat out or cook for yourself. Whether you live on campus or not, you may need to teach at more than one school. Your schools will usually be within walking distance of your accommodation, but in case they aren’t you will be picked up and driven there. Yangzhou’s 2500-year history is built into its architecture and can sometimes be hard to spot if you don’t know where to look. Once you find it you’ll uncover a wealth of interesting things to see and do, and learn about the city’s long and interesting past. A good place to start though is with the Yangzhou museum, which sports a wide array of artifacts spanning as far back as prehistoric times – it includes a woolly mammoth tusk. You can also find castles from China’s feudal ages, the burial site of famed Yangzhou hero Shi Ke Fa, and the Buddhist DaMing temple where you can burn incense sticks, see Buddhist states and actual monks. There’s an opera house near the museum, plenty of parks and the pleasant surprise of Rainbow Square which has nightly fountain displays, a library, several restaurants, a Starbucks, cinema and even a Haagen Dazs shop. 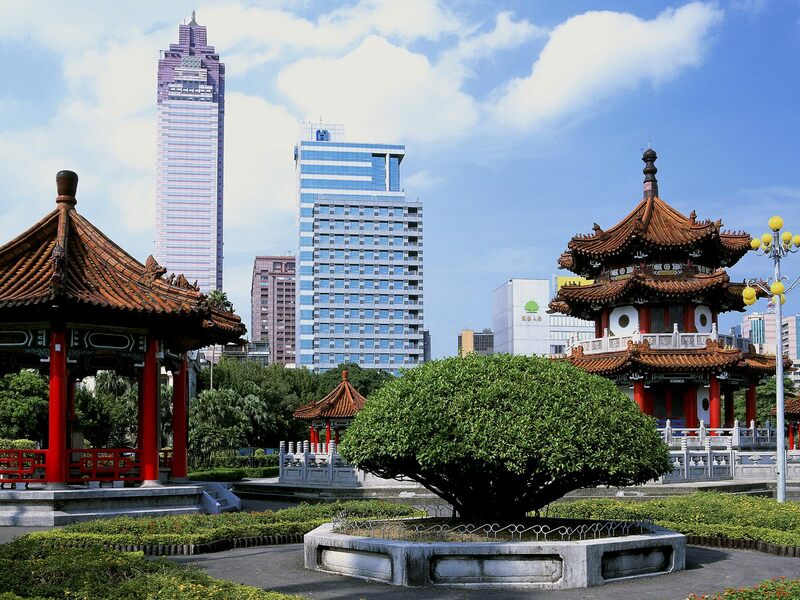 Ge Yuan garden showcases classic Chinese designs including artificial rocks, bamboo trees and buildings that are now 200 years old; Dongguan street gives you a sense of traditional Chinese life through its long street of old shops selling its range of food and countless other items. 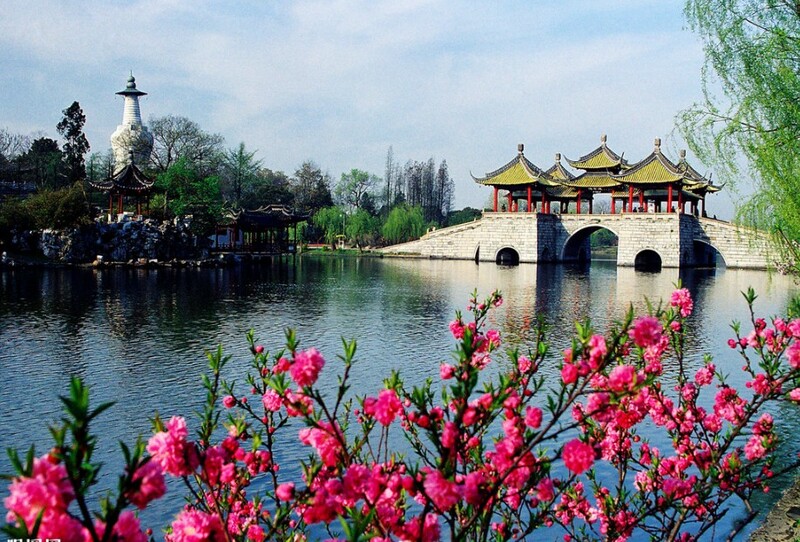 Yangzhou is most famous for the Slender West Lake resting just beside rainbow square. Its weeping willows, the Five Pavilion Bridge and dragon boat rides through the sparkling water and hanging trees make this the perfect relaxation spot. Yangzhou has a surprising number of malls considering its small size and these malls are full of restaurants from serving food from all over the world. Here you’ll find food from Japan, Germany, USA, Korea, Italy among others. Of course you’ll also find many places that sell traditional Chinese food such as noodles, dumplings, rice, soy bean milk and many other types of food you have probably never heard of; go for a Chinese breakfast with your Chinese coworkers to see the range of food on offer. If you’d prefer to keep your diet western, there are plenty of restaurants and fast food chains that you’ll recognise including Pizza hut, Burger King, McDonalds and KFC although their menus aren’t exactly the same as the ones back home. However, if you’re willing to brave the unknown, the food you’ve heard about such as spiders and duck heads can be found here too. While not as popular a destination for foreigners as places like Shanghai, there are many foreigners who stay in Yangzhou and organise events and parties for foreigners through WeChat. By making friends with both foreigners and Chinese colleagues, you’ll find opportunities you may have never have found otherwise. Western style gyms, or traditional tai chi classes are widely available across the city. Aside from this Yangzhou offers many exciting things like a virtual reality arcade, nighttime boat rides, bars and even a techno nightclub. Cinemas are dotted around the city, including an Imax cinema which often shows English films. The abundance of shopping malls means shopping is also easy to do. Interested in teaching in Yangzhou? Find out more about our State School Teaching Programme, or apply now to begin your adventure in this hidden gem of a city!